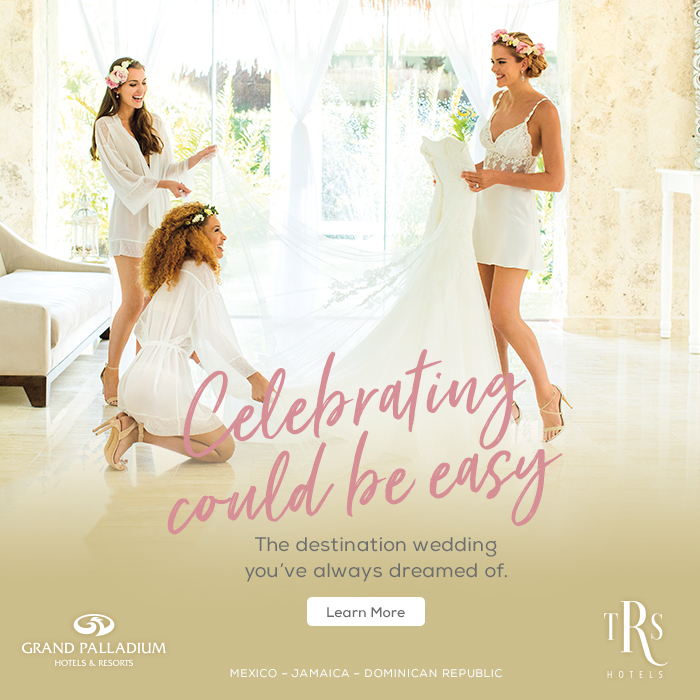 At DID we understand the amount of time and effort that goes into planning a destination wedding from afar. 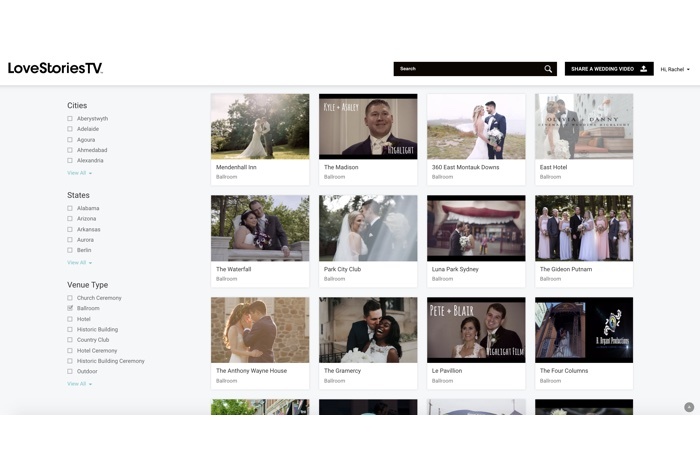 From choosing a location to touring venues, the process would be made easy if you could experience other’s weddings who have already “been there, done that.” Enter Love Stories TV, the first and only platform dedicated to sharing real wedding videos. Love Stories TV got its start in 2016 after they saw a consumer need for high quality, inspirational and relatable videos that can be binge watched. The idea was to have a never-ending supply of wedding related inspiration, much like Pinterest, but with moving picture and sound. 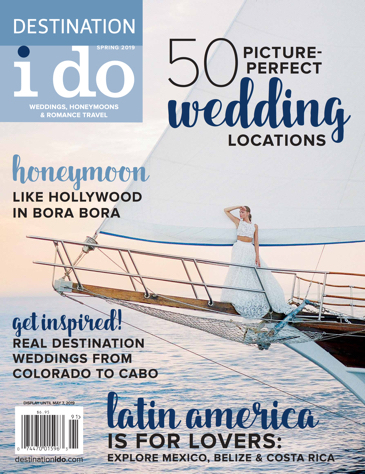 Today, soon-to-be-wed couples interested in having a destination wedding have a treasure trove of information to help them plan their wedding, choose vendors and more. According to Love Stories TV, they pride themselves on being all-inclusive, publishing weddings of all budgets, countries, sexual orientations, religions, etc. Let’s say you watch a video and fall in love with the scenery and details of the wedding. That’s when you’d want to know how the couple pulled it all together. Love Stories TV provides information from the venue to the bridesmaids’ gifts, so you don’t have to try and reinvent the wheel. 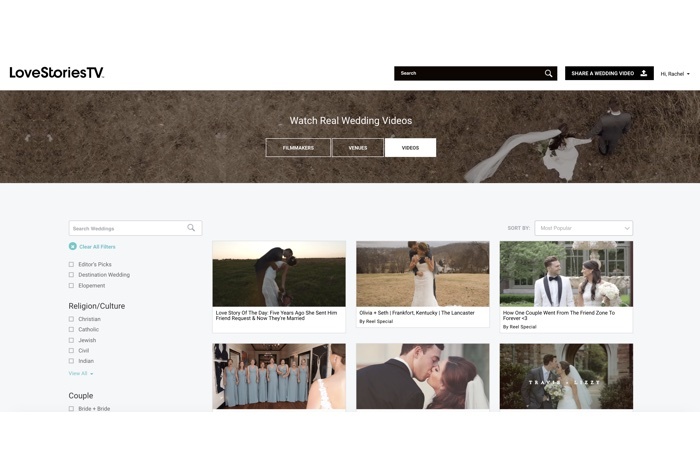 We are excited about the video platform because detail is everything when it comes to achieving your ideal wedding day in the ideal location. Say you’ve decided on a wedding in Santorini, Greece. Luckily, with Love Stories TV, you just pop “Santorini, Greece Weddings” into the search bar and you’re off to the races with the perfect platform to get inspired and grab recommendations from newlyweds. To see the work of some of the world’s top wedding videographers, watch some of the films, nominated for the 2nd Annual Love Stories TV Wedding Film Awards. In fact, since travel is a big theme of the awards this year, we’ve included a list of the Best Destination Wedding Film nominees below. All that’s left to do is grab a notebook and a pen, snuggle up and visit the Love Stories TV website for a night of binge watching all things destination weddings.